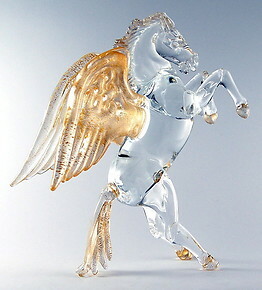 It is well known that the horse is one a noble animal. 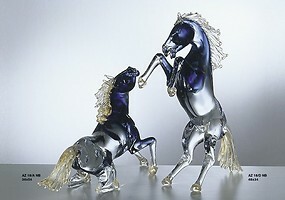 This feature can be well represented in the Murano Glass sculptures. 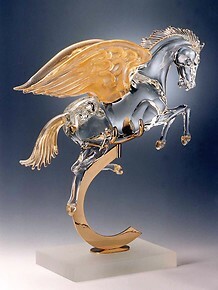 Ride the opportunity to invest your money on a prestigious piece of art the will be reevaluate over the time. 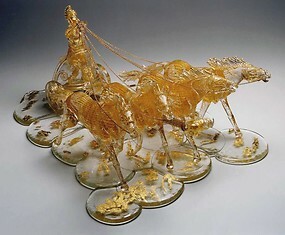 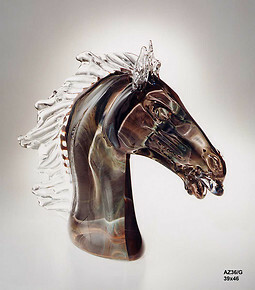 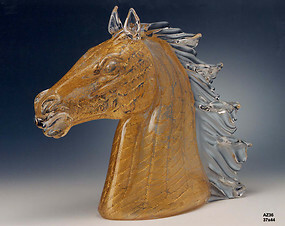 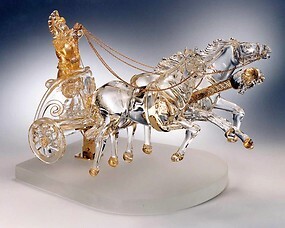 If you are looking for an artistic representation of the horse, the MGS will simply provide you with the most beautiful sculptures with unique details to achieve with incredible skill by our masters of Murano. 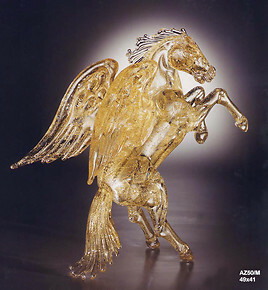 Our horses are made in the island of Murano, by appointment it is also possible to see the furnace and the processing of these incredible horse sculptures. 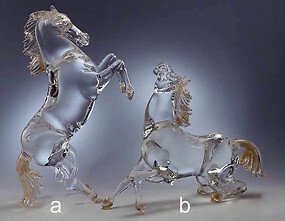 Our horses can be made in various sizes and can have various poses: trotting, galloping, sitting or resting. 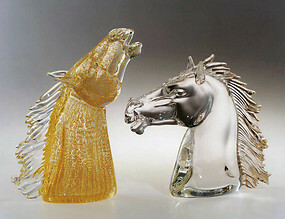 Wonderful also the horse heads that can be of various sizes. 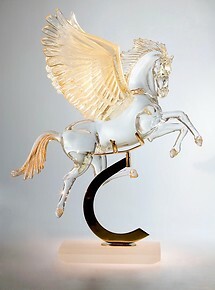 The colors can be: crystal, crystal with 24k gold details on the mane or the tail or all in gold, another beautiful color is the chalcedony, and ours is really beautiful.